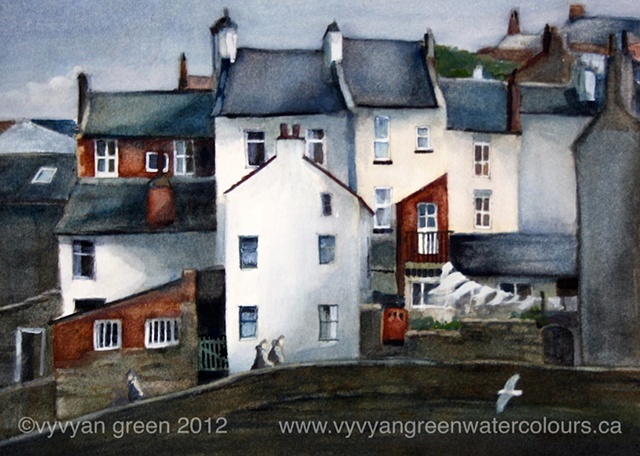 Vyvyan Green Watercolours - Cottages by Staithes Beck, North Yorkshire. Cottages by Staithes Beck, North Yorkshire. watercolour on Waterford paper, 140lb. I was back in Yorkshire earlier this year, and managed to get to Staithes and area, took piles of photos. This is the first painting I produced on my return.